Is the Public Services Card Mandatory to access state services? 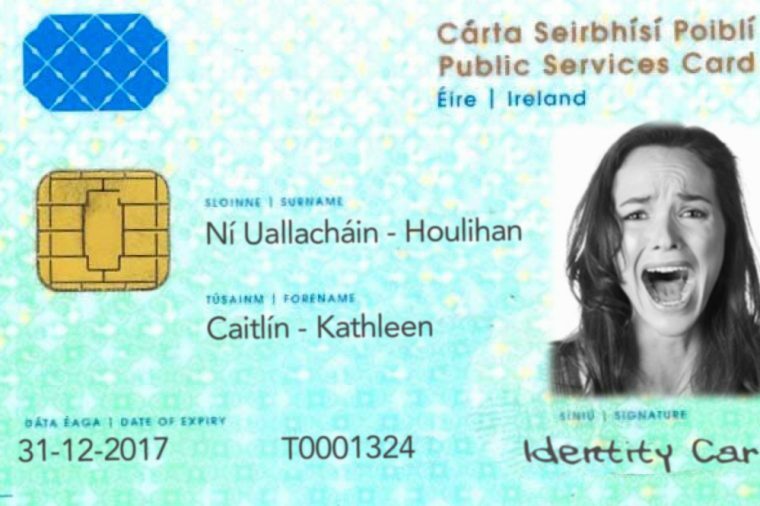 Over the last week there has been much controversy over the decision of the Department of Social Protection that the ‘Public Services Card’ is mandatory. It is mandatory, they say, not only to claim a social welfare benefit, but to access any number of state services. In practice, this means that to be an active, participating member of Irish society, you would have to have this card. We have been contacted by a number of people with concerns about this issue, including a woman in her seventies who has had her pension cut off because the Department demanded she enrol in the Public Services Card scheme but refused. She asked that she be furnished with clear documentation providing for the scheme being mandatory. The Department failed to do this. Not only has her pension been cut off, but she has been told that even if she accepts the card tomorrow, she will not be allowed the pension payments she has accrued during the period of non-payment. Whatever the legal situation might be, this seems very heavy-handed way to treat a senior citizen. It does not inspire trust or respect. The Department of Social Protection feels that one particular section of the Social Welfare Consolidation Act 2005 (as amended) justifies its policy. However, from our investigations, this section has a very different and important purpose but has basically nothing to do with the Public Services Card and does not in fact refer to the Public Services Card at all. At the outset, it has to be said that this law in relation to the Public Services Card and the related “Public Services Identity” is spread out over a number of different Acts. This makes the legislative framework difficult to understand. The Department claims to rely on Section 247C (which was introduced by way of an amendment in 2013). The section is entitled “Disqualification from receipt of benefit where identity not authenticated”. The section provides for very reasonable measures in connection with the prevention of social welfare personation fraud. It allows the Department to ensure that social welfare benefits are only paid to people that are entitled to them. It is worth making the following specific notes about the section. Firstly, the section indicates that the Minister (which in practice means staff of the department) “may” do various things. This means that it is something the Minister may do, not something the Minister must do. The clear intent of the section is to prevent fraud, not to force people whose identity is well known to the Department to register for a card they don’t need and don’t want. As with all statutory discretions it must be exercised reasonably and proportionally. It should not and cannot be used as a blanket policy for the entire population. This would amount to an unlawful fettering of discretion. Subsection (5) further highlights the fact that the authentication process is not the exclusive means of authentication and is intended for use with reasonable discretion. It is not intended as a ‘one size fits all’. Section 247 appears to have no relevance whatsoever for situations other than social welfare claims. Section 247C(3)(b) provides for a requirement for the social welfare claimant to provide a document to prove that they are who they say they are. This is not the same as a requirement to create or consent to creation of a document like the Public Services Card. Section 247C(3)(c) provides for a photograph to be taken for authentication. The purpose of this photograph is solely for use for authentication by the Minister, i..e, for use by the Department of Social Protection only. It does not provide for other government departments to use it for unrelated functions. This is at odds with the clear intent of the Public Service Card and the Public Service Identity which is intended for a wide range of uses by any number of government agencies. Section 247C(4) allows for the Minister to retain the photo and this is obviously required so that the next time the claimant visits the social welfare office, the photograph can be used to check that the claimant is the same person as was authenticated previously. However it does not provide for the Minister to share the photo with other Departments or to put it on the Public Services Card. Because the section has a clear and limited intent, it is very hard to see how some wider meaning could be inferred. Section 263(3) does provide for a government body to demand production of the card where it is required for a transaction. Obviously, this can only be invoked where a card has been lawfully issued. A PSC cannot rationally be demanded from a person who does not have one. Subsection (5) of 247C reinforces the point, making clear that this is a matter for discretion. The Minister is not required to put all DSP claimants through this fraud-prevention process. The Minister is obviously expected to use this act with discretion for the purpose which is intended, i.e., to disqualify people who are claiming benefits where they have not satisfied the Department’s officials that they are entitled to them. Section 247C has a clear purpose and that is why the Oireachtas provided for it. They didn’t intend for it to be used to pursue pensioners who do not want the card and have no use for it, and who already have good identification in the form of a passport. It should not be used to pursue people who are already well known and who have vouched for their identity in order to pursue a project that only has a very thin legislative basis. If the Oireachtas had intended to make the Public Services Card mandatory, or intended that every citizen’s photograph be stored on a central registry accessible by all government bodies, it is not unreasonable to think that it would have clearly provided for that in the original legislation. The repealed National Identity Cards Act (2006) gives you a clear idea what you would expect legislation for such a card to look like. It provides in detail for the card being compulsory, the means of registration and the procedure where a person fails to be registered. It is worth adding that there is no particular law requiring that you get a PSC before you can get a driving licence or passport. This requirement has been put in place through administrative ‘fiat’ rather than through any legislative process. The administrative fiat does not seem altogether reasonable – why insist on such a card, if there is another satisfactory means for the citizen to affirm his or her identity? If the collection of the data does not provide a proper foundation for the Department to share data with these other bodies, the sharing of data with other bodies is clearly legally problematic. If we are to have a national identity card, we should have the proper legislation and the proper safeguards. This is critical if we are to have trust in and respect for our institutions. There should be no doubt what the proposed identity card is for or how it is to be operated or to what extent it is mandatory. This will require a proper investigation of the matter and a proper debate on the issues. Note: updated at 2017-08-29 17:31 to clarify situation in relation to Section 263(3), at 17:44 to clarify situation in relation to the requirement to hold a card, at 17:55 change to link and explication re UK Identity Cards Act, and fix to incorrect numbering referring to 263(3); 21:55 to clarify that 263 was amended.